VPN makes sure all employees are securely connected to the corporate network. Everybody understands the necessity to connect securely over the Internet. OpenVPN ensures privacy with high level of encryption, but also allows the flexibility to be used on different devices and with no extra costs for licenses and additional hardware. 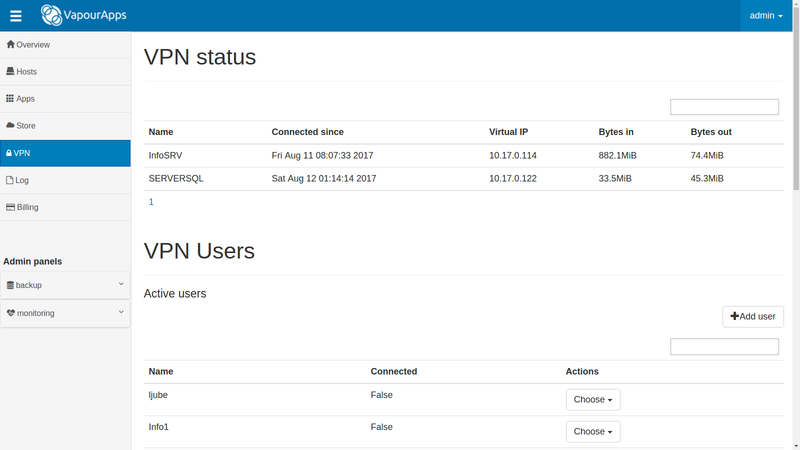 Connected users and servers, can be viewed on the VPN panel, as well as the IP addresses from where they are connected. The OpenVPN service can be run on a server, configured on a firewall or with a desktop agent. 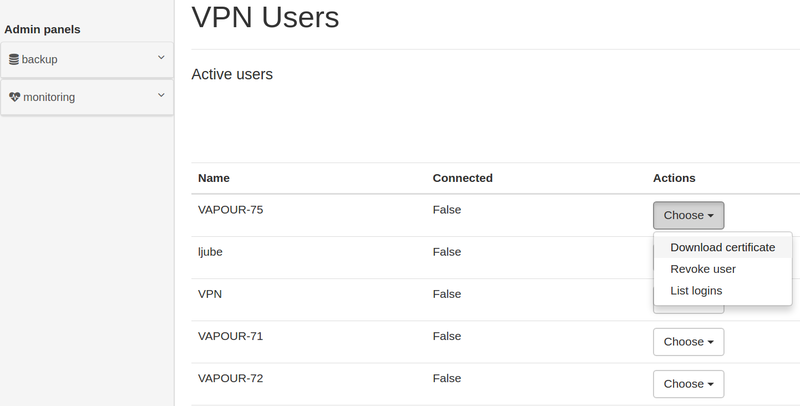 Create VPN users from the VapourApps dashboard or via the VapourApps API. User certificates not in use any more can also be revoked. Integration with Active Directory, for centralized password authentication. OpenVPN can be used both for connecting multiple locations or give access to users to connect securely from the outside, into the company’s private network.